Rose Design created a new website that provides a way for the Fellows and Managers to follow their classes, classmates and events easily in a community-based environment. A new calendar system and secure database with password protection were also developed. 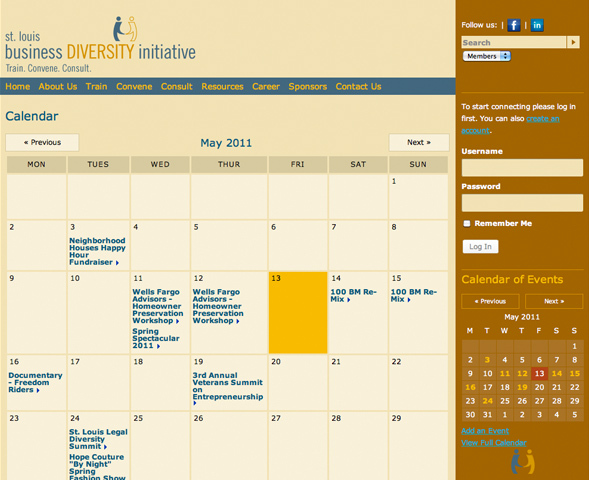 The site also includes hiring and procurement contacts exclusive to members. 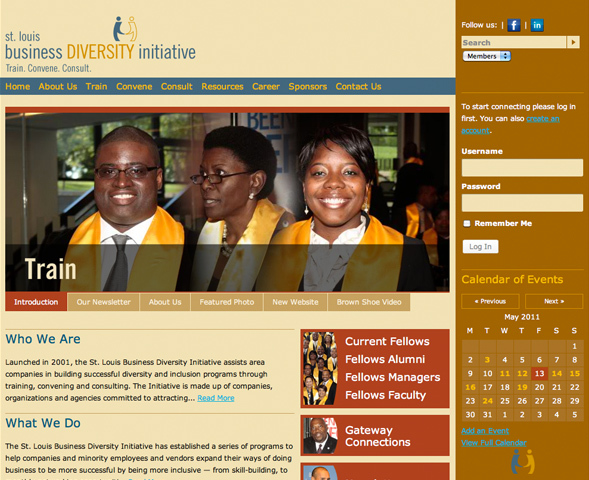 We provided the administrators with an open source content management system. The site can be easily updated resulting in timesaving communication ultimately enhancing the fellows experience and productivity. 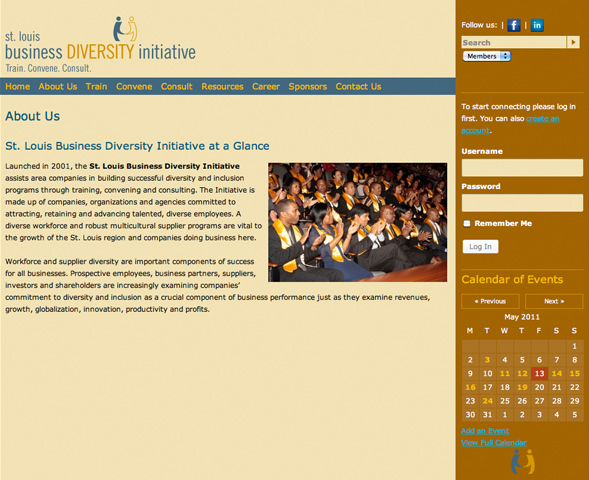 St Louis Business Diversity Initiative is a collaborative effort to help companies and firms in the St. Louis region be better positioned to attract and retain a talented, diverse workforce.